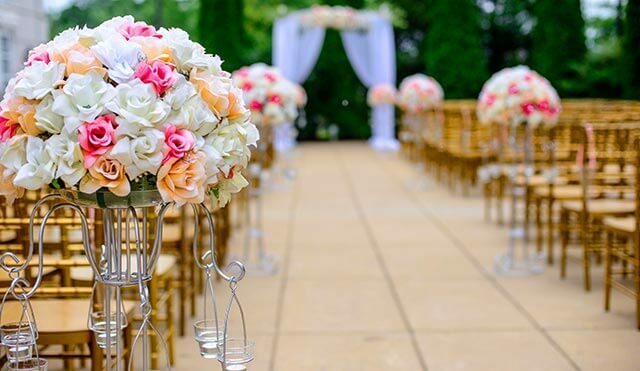 The U.S. florist industry generates around $7 billion in sales every year, and it is safe to say that a majority of these sales are related to wedding flower arrangements. 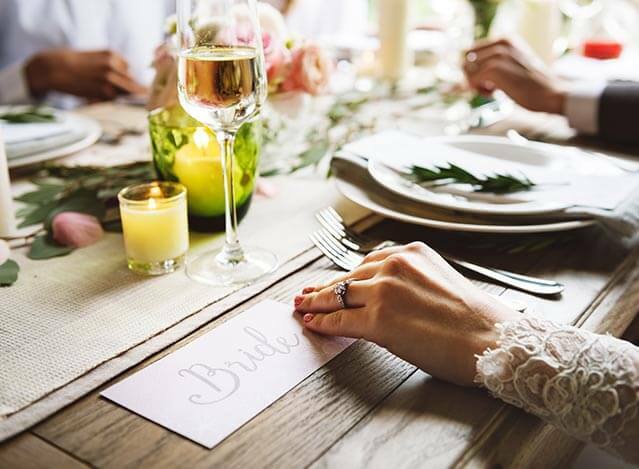 From the ceremony to the reception, wedding flowers are an integral part of your wedding, but it can be overwhelming to choose between all the different flower design ideas and flower bouquets for your big day. So, to make things easier for you in the wedding planning process, here are some florist-approved tips and tricks on how to choose the best wedding flowers! It can be all too easy to get your heart set on a specific type of flower only to find out they aren’t in season during the month of your wedding. However, there are a ton of different flowers that are available all year round, so if you have an open mind going to the florist you’ll be able to leave with something you love. There is a lot that goes into floral colors, and it is important to figure out how each color’s undertone works. For example, some red flowers may have orange undertones that won’t match well with cooler flowers, such as green or blue. So with this in mind, it is crucial to be flexible when it comes to picking your exact flowers and their shades. Your bridal bouquet will be the one flower arrangement that will be seen the most in your photos, so make sure to invest wisely! Don’t skimp on your bridal bouquet, if anything you will want to spend a little extra money to ensure it sticks out and helps to create beautiful photographs. When choosing your colors it is crucial that you think about how they are going to photograph. For example, you may want to create a bouquet of both dark and light flowers, but this may look like polka dots when photographed. So, to ensure the true colors shine through, you may have to incorporate some light gray flowers or even a contrast color to make the design pop. Keep your eyes peeled for more tips and tricks in our next blog posts!